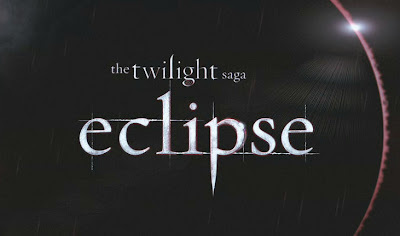 The third book/film of the Twilight Saga sees Victoria hunting down Bella and Edward for the death of James. Meanwhile Bella and Edward reunited struggle with the option of her immortality. And of course it wouldn't be Twilight, if Jacob Black wasn't still pining for Bella's affections. 30 Days of Night director David Slade took the helm for the third film in the series with nearly the entire same cast except for one big character, Victoria. Rachelle Lefevre, who played Victoria in both previous installments was replaced by Bryce Dallas Howard because of reported scheduling conflicts. If your not already connected with Edward, Bella and Jacob and their awkward love triangle, clearly this trailer would do nothing for you. But if you are attached like myself, this trailer plays up all the right angles. Yes it is drenched in love sick dialogue that would normally make me cringe, but something about the Twilight series does a phenomenal job of sucking me back into my the romanticism of my youth.